Home › Blog › You Called European Village The “Best Around” Mainstreet Once Again! 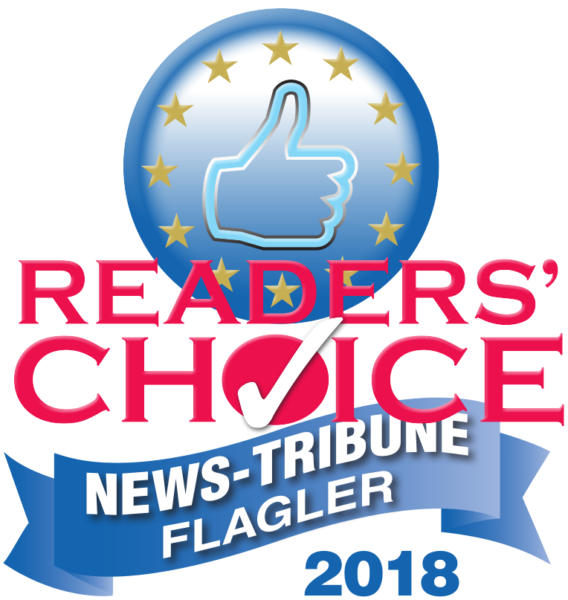 Every year, voters participate in the Flagler News-Tribune Readers’ Choice Awards—also known as the Daytona Beach News-Journal “Best Around.” These awards represent the highest levels of service in our area. In 2018, European Village is proud to announce that we won “Best Around” in the Mainstreet category. This is the third consecutive year European Village won this category. It was a tough competition for the coveted “Best of the Best.” Still, we are happy our customers chose to mention us alongside great places like Deland Mainstreet. Those guys not only took this award, but also recently won the title of America’s Best Mainstreet. Park your car once and choose from 20 options. This doesn’t happen anywhere within 20 miles of Palm Coast! Two out of the Top-10 restaurants in Palm Coast (per TripAdvisor). The Humidor Cigar Bar and Lounge, which won “Best of the Best” for the Cigar Lounge/Shop Category. Moonrise Brewing Company, Palm Coast’s only microbrewery. Although we are humbled to accept the award, we also recognize the hard work that has gone into making European Village best around. Plus, we have to admit that the smiling faces from so many of our guests already had us feeling pretty confident. Whether it’s shopping at our amazing retail outlets like Sherry’s Art Studio, grabbing a drink at Cork and Pint or Farley’s Irish Pub, a slice at Mezzaluna’s Pizzeria or a one-of-a-kind meal at La Piazza Café, European Village continues to provide amazing experiences to Palm Coast, Flagler County and the surrounding area. That’s just the day-to-day awesome. European Village shines even brighter during our many and varied events—from holiday’s like Halloween, New Year’s Eve and St. Patrick’s Day to weekly and monthly events like our Farmer’s Market, to Chess Night and so much more. From the bottom of our hearts and from all of our member businesses, we thank each and every one of our customers. We hope that you continue to enjoy European Village for many years to come! Congratulations European Village. Well Deserved! Thank you so much. It’s our pleasure to keep up the good work and serve our guests.